What good is all the PR and hype around building your social media presence, if an artist doesn’t have a clue what their message is or what they want to do with it all – there will be a disconnect. We’re talking about your brand and what it stands for. 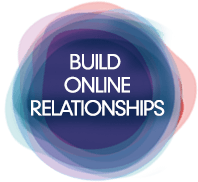 It is essential to figure this out up front in order to build real relationships with your fan-base. “Community management” is often used interchangeably with “social media management”. And while it’s definitely a key part of any social strategy, managing your community becomes more and more important the bigger your fan base becomes. And if you hope to build a long-term career with a strong brand, it’s something you’ll want to invest in. Community Management brings your brand to life online – like it’s a real person with real personality behind real interactions. Where social media marketing broadcasts a message from one-to-many, community management often starts on a smaller, more intimate scale. But it can build your brand’s presence in places both on and outside your social media pages. Let us build a custom package to suit your budget. We can ease the day-to-day social media grind by coaching or posting for you (depending on your needs and budget).